FOR IMMEDIATE RELEASE – Victoria, BC – Enrollment Resources announced today that Lisa Olmedo has joined the firm to help further develop their growing portfolio of Higher Education Clientele. Ms. Olmedo comes with a wealth of experience within the Higher Education Enrollment Management field, having spent the last 10 years working in instrumental leadership roles for a significant Ad Agency. Prior to that, Lisa developed skills and expertise in Admissions and Admissions Management. 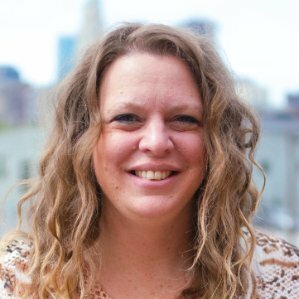 She has volunteered at the EDU association level, participating on a number of key committees and is a sought-after workshop leader throughout the U.S.
Enrollment Resources Inc specializes in Conversion Rate Optimization and is the leader in this field in the Higher Education space. They increase a school’s enrollment levels using logical, easy-to-follow tools and ways of works, helping schools do more with what they’ve got. Our purpose is to help get marketing control away from gurus, consultants, and media companies peddling the latest “big idea” and back in the hands of schools. For the hard-working people tasked with running schools, we give factual and reproducible marketing systems that will improve their organizations and, in turn, their students’ lives. It was the first EDU Company to be certified by Google as a Professional Partner, the first Enrollment Management company to be trained in Lean Management (Kaizen) and the first company of its kind to be certified as a B Corp. The company was established in 2003 by Gregg Meiklejohn and Shane Sparks.